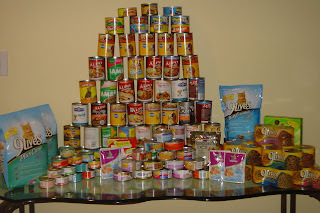 very successful food drive at Kaylee's school which resulted in over 300 cans of dog and cat food being donated to the shelter! 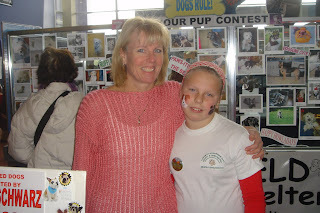 Kaylee and Lynn have been volunteering at the Medfield Animal Shelter for the last 4 years. They enjoy walking dogs, playing with the dogs and cats and the friendships they have made with the all-volunteer staff. They think the best part of working at the shelter is loving each animal for a little while until that animal finds a loving “forever” home. wow, that's great! I'm proud of her!